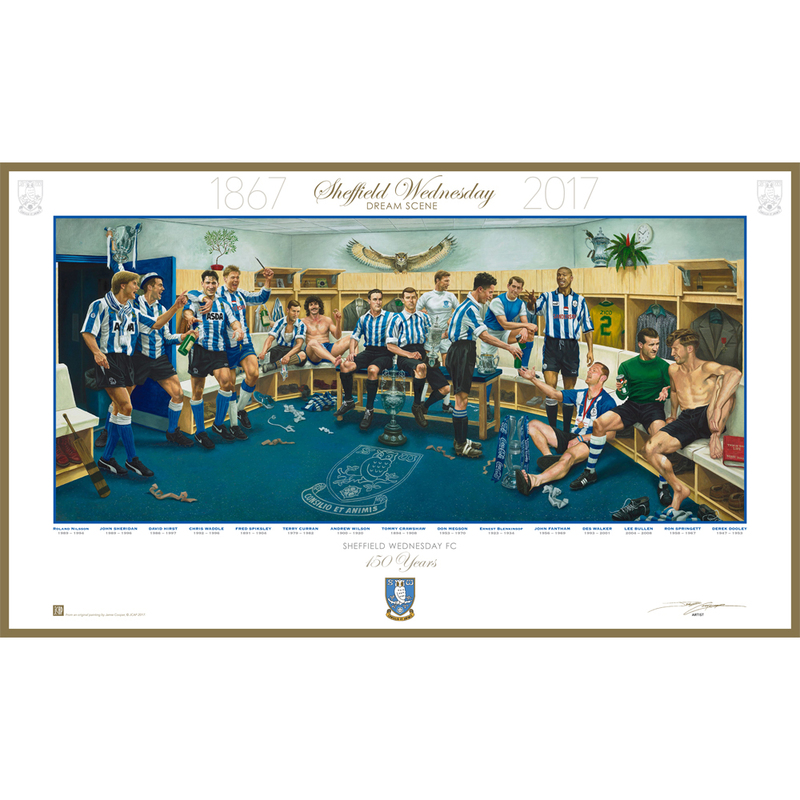 Fine Art Lithographic Print of the SWFC Dream Scene. This is a fantastic reproduction of the original oil painting. This item comes in a black frame and is accompanied by a 20 page booklet explaining the stories within the scene. This item is COLLECTION ONLY due to size. Measures approx. 100cm x 60cm. Please DO NOT select the postage option.